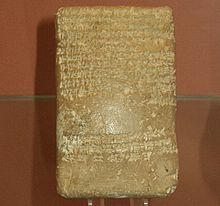 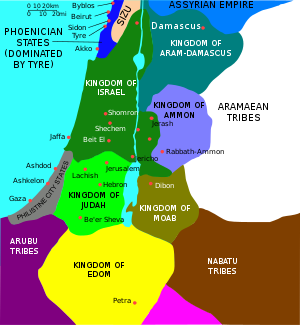 Canaan (/ˈkeɪnən/; Northwest Semitic: knaʿn; Phoenician: 𐤊𐤍𐤏𐤍 Kenāʿan; Arabic: كنعان‎, translit. 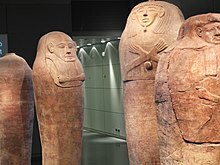 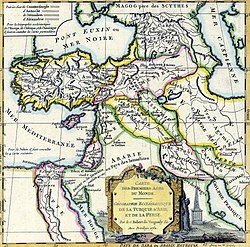 Kena‘an; Hebrew: כְּנָעַן Kena‘an) was a Semitic-speaking region in the Ancient Near East during the late 2nd millennium BC. 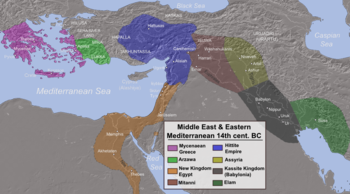 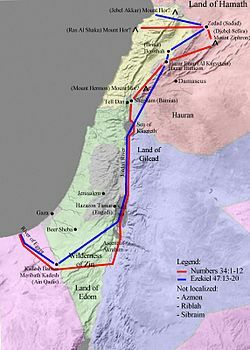 The name Canaan appears throughout the Bible, where it corresponds to the Levant, in particular to the areas of the Southern Levant that provide the main setting of the narrative of the Bible: Phoenicia, Philistia, Israel, and other nations.